Verstappen was hit with a five-second time penalty after hitting Valtteri Bottas as the Finn tried to overtake him. The penalty meant the Red Bull driver fell from third to fifth at the line. Verstappen was not impressed and two weeks later stands by his belief that it was not a fair call. He said: “I was analysing other videos from the year before, because when you go back 10, 15 years before it is a bit irrelevant with the rules and stuff. “The same happened exactly between [Lance] Stroll and [Felipe] Massa, where Massa was very clever. “He didn’t clip his wheel but stayed on the white line. He took a little bit of the green, but his tyre was still on the white line. “I always try to make it as difficult as possible for them to get by, and I will fight for every millimetre on the track, which I did. So I think it’s still very harsh. He added: “When I think it’s unfair, I get angry. I think it’s quite a normal reaction when you think something’s unfair and you are unfairly treated, you get angry. At least that’s how it is with me. 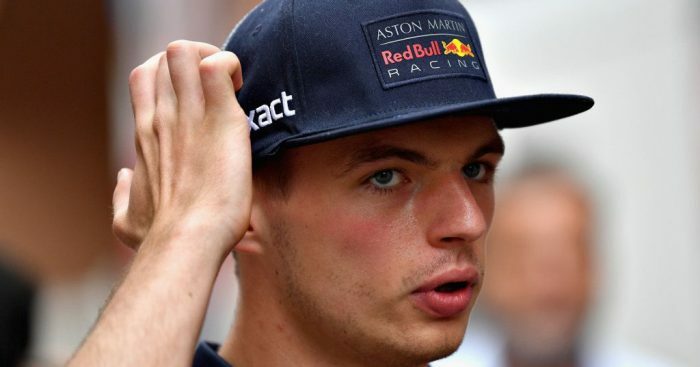 The Dutchman has been involved in several incidents during his Formula 1 career, courting controversy for blocking and even colliding with his team-mate more than once. He, however, reckons if Red Bull had a better engine powering their car, he won’t be involved in these spats. “I have to defend this hard because I am always down on power on the straight,” he said. “If we have the top speed you will never be in this position.